The results are in! 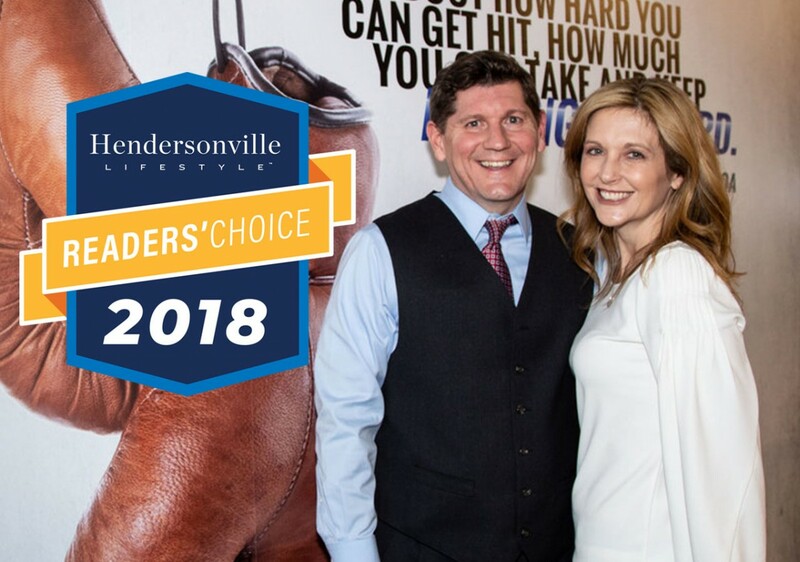 We are pleased to announce that Rocky McElhaney and Rocky McElhaney Law Firm have been voted “Best Lawyer” and “Best Law Firm” in Hendersonville Lifestyle’s 2018 Readers’ Choice Poll! Due to popular voter demand, the “Best Lawyer” and “Best Law Firm” category was added to the poll in 2018. That means Rocky McElhaney (our fearless leader) and our team of “gladiators in suits” were the first-ever to win the title! In 2017, our Nashville personal injury firm planted roots in the “City by the Lake,” building a sprawling headquarters on Saundersville Road. While this is our first win of the “Best Lawyer” title in Hendersonville, it’s nothing new to Rocky, who has won “Best Lawyer in Nashville” by Nashville Scene magazine for the last four years running. The Hendersonville Lifestyle Magazine is a monthly publication that was created for and about the residents of the Hendersonville area. It plays a consistent role in helping the community flourish through generating buzz about local economic growth, special events, and the beautiful and diverse people that call the town and the county home. Every November, the magazine opens up its Readers’ Choice opinion survey to its 13K+ readers, asking them who they think the very best and most worthy services and businesses are in Hendersonville. The votes are tallied, and the winner is chosen based on who has accumulated the highest number of votes. What Other Acclaim Has Rocky McElhaney Law Firm Received? Multi-Million Dollar Advocates Forum, an elite group of highly-skilled trial lawyers from across the nation who have won verdicts and settlements of 2 million dollars or more. The firm is also very proud of its 4-time win of Nashville Business Journal’s Best Places to Work Award. The Rocky McElhaney Law Firm has been fighting for injury victims across Tennessee and the Southeast for almost two decades. We grew up in Nashville and spread our wings, planting roots in East Nashville, then Hendersonville and Knoxville. Each city holds for us more opportunity to do what we do best: Help even more folks even the playing field tilted against them and fight for the justice they deserve. If you or a loved one has been injured due to the negligence of another, you don’t want to hire just any attorney – you want “The Best Attorney” to help you and your family. Don’t settle for less. We’re fight for you. Call our lawyers today at 615-246-5549 or use our contact form to schedule an appointment.